Wishbone's signature craft fried chicken. 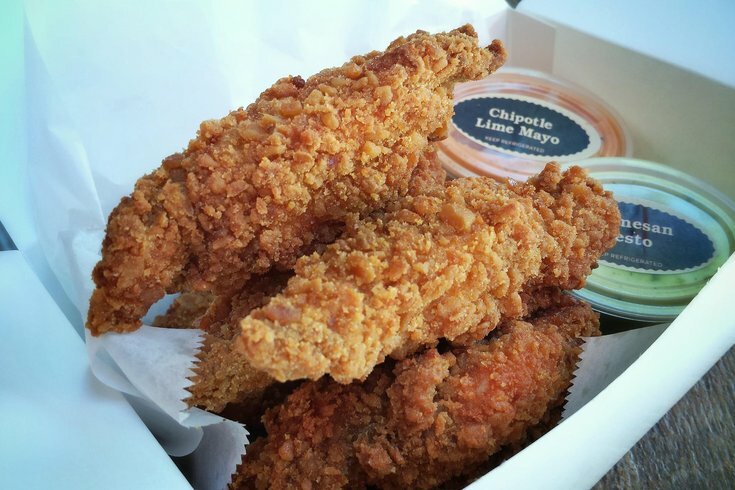 Wishbone, the fried chicken joint bringing late night bites to University City since 2013, is making big moves to open more locations - and its first stop is Midtown Village. Known for its white and dark meat chicken fried with a crunchy pretzel crust, the establishment has grown a following among the college set thanks to being open until 3 a.m. on weekends. Now open at 210 S. 13th St., it's serving boneless tenders and bone-in wings, along with a special "Shroom" chicken sandwich, hand pies, mac and cheese and plenty of homemade dipping sauces. For now, hours at the new location will be 11 a.m. to 10 p.m. -- but if it's as successful as the UCity outpost, we bet it won't be long before it's serving the Center City nightlife crowd. According to Philly.com, this will be the first of many Wishbones to come.